Mally Skok is a South African born designer who has run a residential and small commercial interior design firm in Lincoln, MA since 1997. In addition to her design projects, Mally’s love of fabric, color and pattern led her to launch her fabric and wallpaper line in 2008. 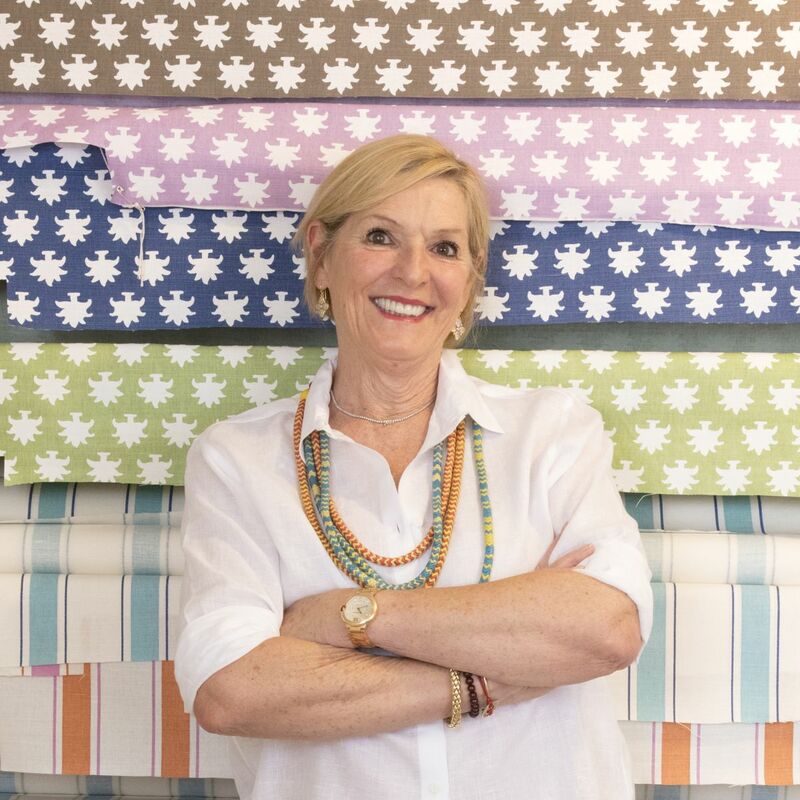 All of Mally Skok Design fabrics and wallpapers are hand-screened locally in Great Barrington, Massachusetts, and are represented in many prestigious showrooms throughout the US, and Canada. Mally is involved in several local organizations, including the Junior League of Boston Show House, Heading Home to Dinner, and the Emerson Umbrella Arts Association. Mally is also an active member of the Design Bloggers Conference Advisory Board.